When you think about strong and healthy teeth, you might not think about enamel. In reality though, the strength of your teeth is mostly determined by the health of your enamel. Your enamel is responsible for protecting your teeth and, over time, it can easily erode due to dietary, behavioral, or genetic factors. In fact, according to the Academy of General Dentistry, in 2012 22 percent of U.S. adults said they experienced acid erosion in their enamel. Fortunately, by changing a few behaviors and incorporating proper oral hygiene habits, it’s entirely possible to protect and strengthen your enamel. What is Enamel and How Do You Lose It? Tooth enamel is the thin outer covering of the tooth. It protects your teeth from everyday wear and tear like chewing, biting, or crunching, and insulates your teeth from painful temperatures and chemicals. Without it, most of our eating and drinking behaviors would be uncomfortable, painful, or lead to dangerous tooth decay. One of the most common ways people lose their enamel is from acid erosion, which is when acids from your body, food, and beverages wear away at the enamel on your teeth. Sugary or carbonated beverages, gastrointestinal health issues, frequent vomiting, sugary and starchy foods, teeth grinding, and xerostomia, also known as dry mouth, are all culprits of acid erosion. After awhile, this erosion exposes the inner layers of your teeth, increasing both tooth sensitivity and the likelihood of tooth decay. Unfortunately, tooth enamel has no living cells. So, when your enamel erodes, your body is unable to grow more. This is why it’s so important to prevent enamel erosion before it becomes a problem. There are several lifestyle changes you can make to prevent enamel issues. Most importantly, you should cut down on sugary and carbonated drinks. If you plan on drinking these, use a straw so the acids don’t come into direct contact with your teeth. Afterwards, rinse out your mouth with water to remove any remaining acids. Similarly, try to cut back on sugary snacks and drink plenty of water throughout the day. Practicing healthy oral care supports enamel health, preventing unwelcome erosion. Brush your teeth at least twice a day, for two minutes each, with a soft bristled toothbrush. Using hard bristles can put even more stress on your enamel. Schedule a cleaning every six months with your dentist to ensure your teeth are healthy. For additional support, there are several options for saving money on dental appointments. "One of the most common ways people lose their enamel is from acid erosion, which is when acids from your body, food, and beverages wear away at the enamel on your teeth." If you’re experiencing enamel erosion, or even if you haven’t noticed erosion yet, it’s important to strengthen the enamel you still have. The old adage that the best defense is a good offense definitely applies here, and strengthening your enamel now can mean fewer dental problems in the future. The easiest way to strengthen your enamel is to focus on remineralizing your teeth, which restores strength and function within the tooth’s structure and makes it more resistant to acids. A simple way to remineralize your teeth is to use a toothpaste specially formulated to increase enamel strength. There are several options available that will work, as long as it contains fluoride. In addition to toothpaste, several foods have remineralization properties. Incorporating whole grains, fruits, vegetables, lean proteins, and low fat dairy products into your diet will help support healthy enamel. Whether you’re looking for a few tips to improve your oral hygiene or have started noticing erosion symptoms, follow these recommendations to improve your overall dental health and fight against common enamel issues. 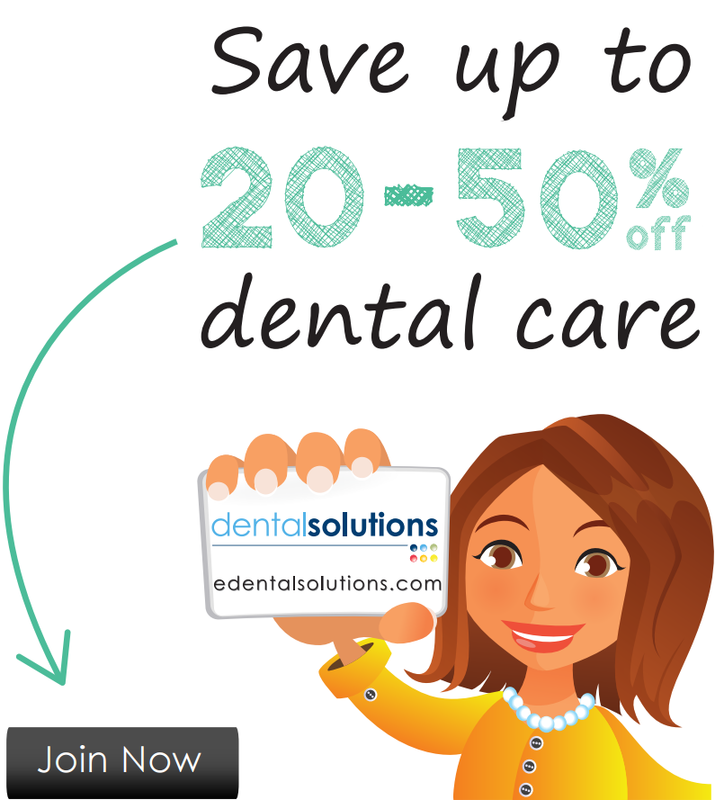 If you’re looking to save money on preventive and other dental care costs, a discount dental card can offer an affordable way for you to save between 20 and 50 percent off the retail cost of care. Learn more about how it works.